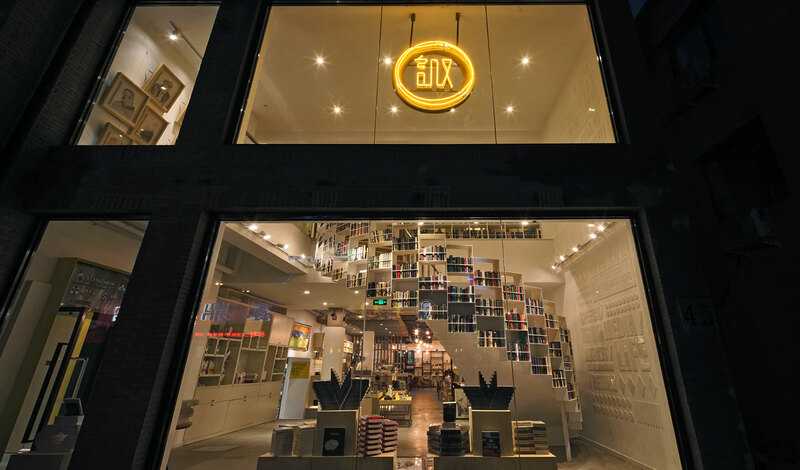 GLADC studio featuring a local interior design firm to create several key concepts for Yan Ji You Bookstore in Beijing in mid 2014. 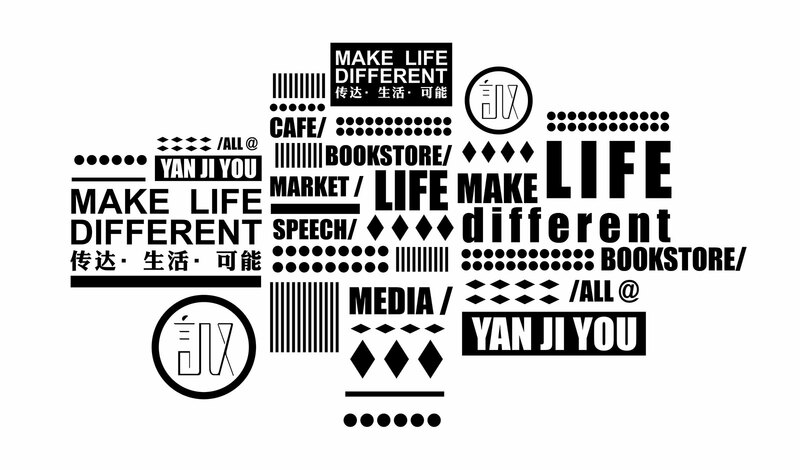 Yan Ji You is an energetic life style brand which combining reading, leisure tasting, design products market and media technology all at once for art and design. 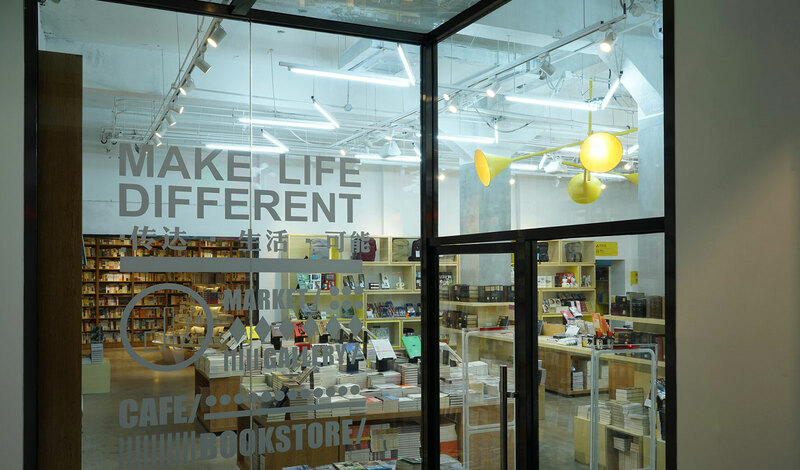 We are glad to take part as a very key creative for their first store launch. 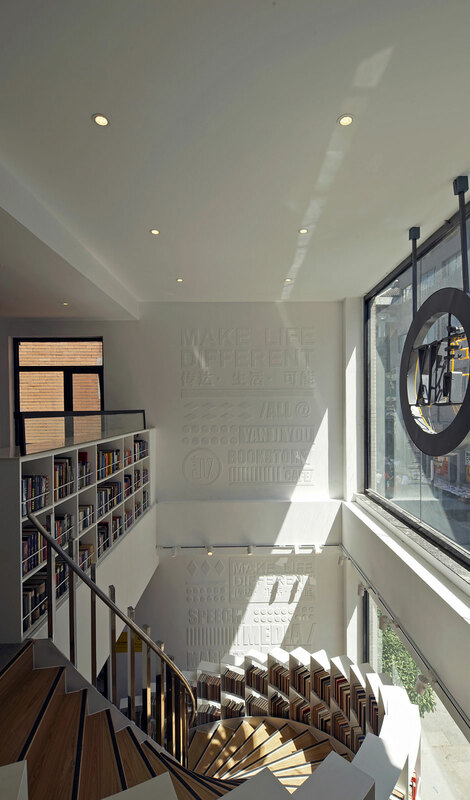 GLADC studio created the idea with books filling up a spiral staircase at shopfront, which serve as an key signature and highlighting the core business nature of the client. 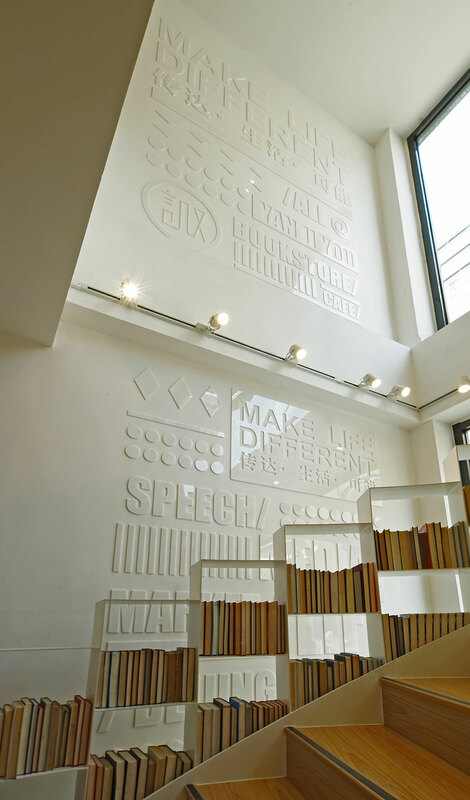 By worked out a text graphics in slightly 3D in white thin resin which extending along the wall next to staircase, we subtly showing its key business unit upon an art orientated presentation . 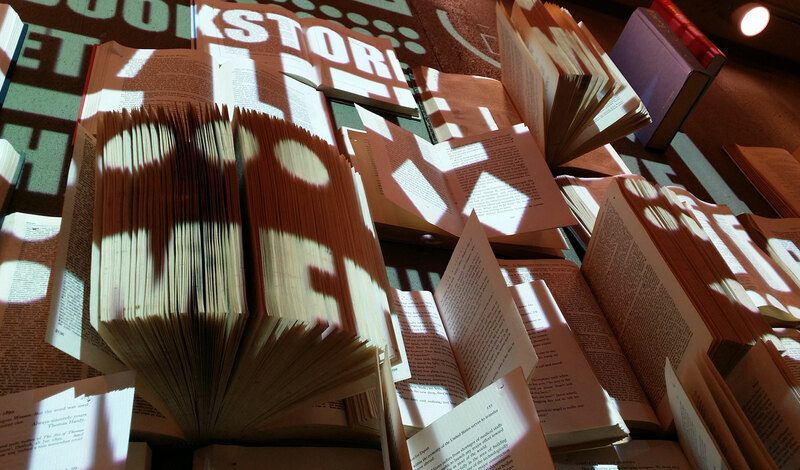 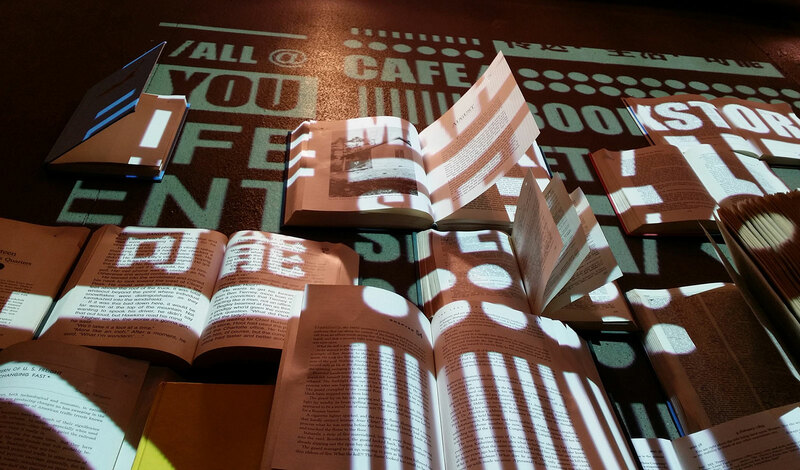 Coming to the most popular zone, we decorated with more than two hundreds books filling up the 18 meters long wall at the cafe area. 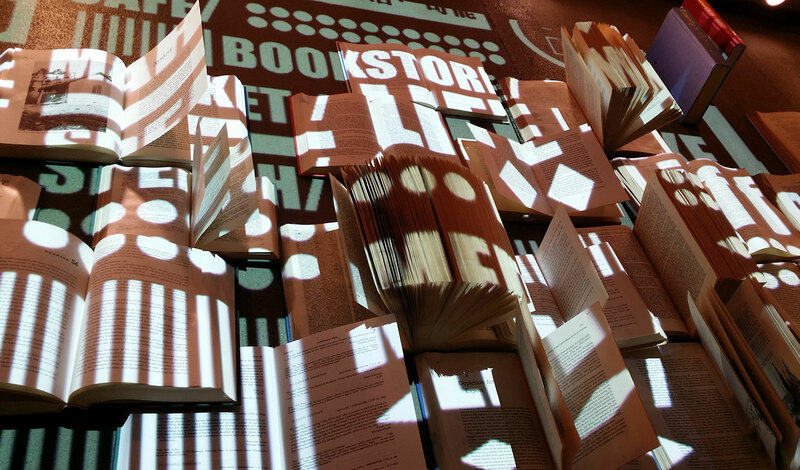 Projecting the logo and messages of the brand values which make the atmosphere dynamic and alive. 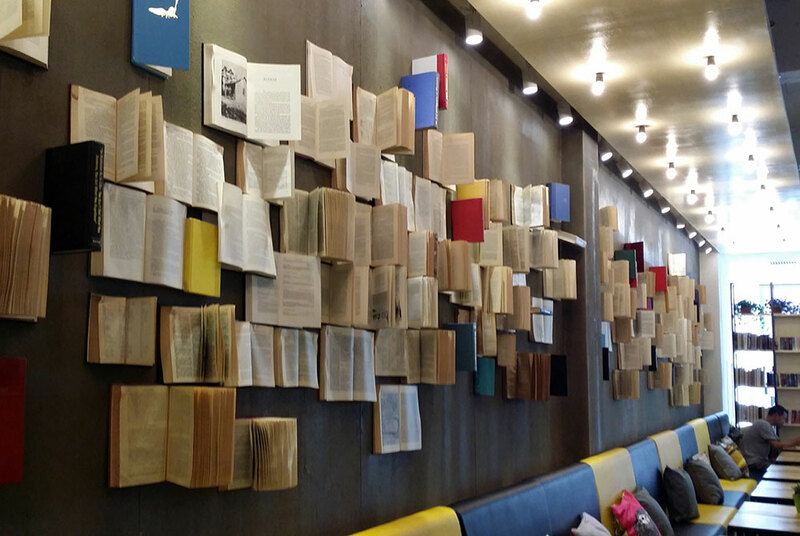 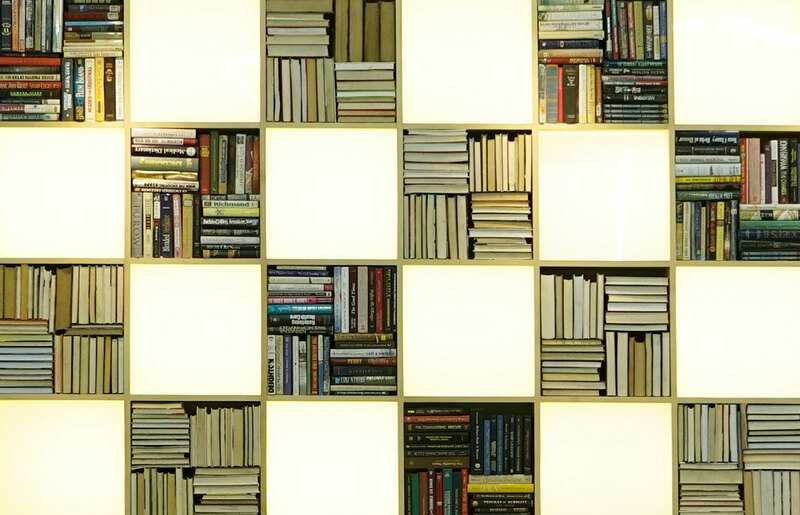 This books wall serving as a perfect screen for videos & movies for their regular events. 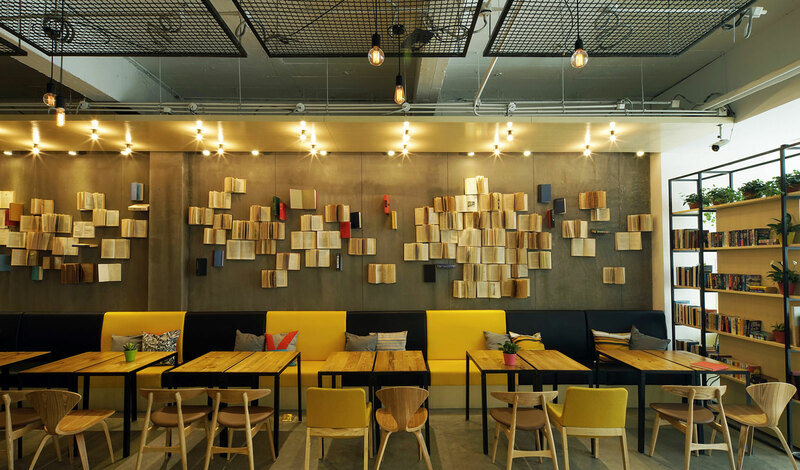 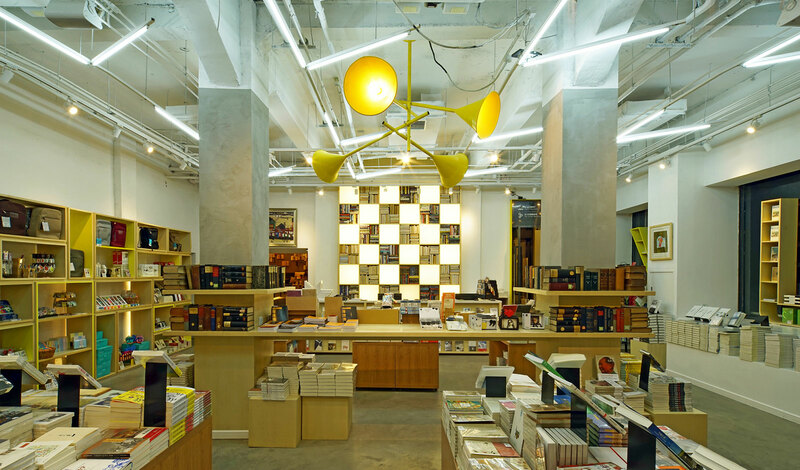 To collide with the theme colour of the entire bookstore, we custom designed a central pendant lamp in a form of enlarged trumpets in yellow, bringing its playful nature of its brand. 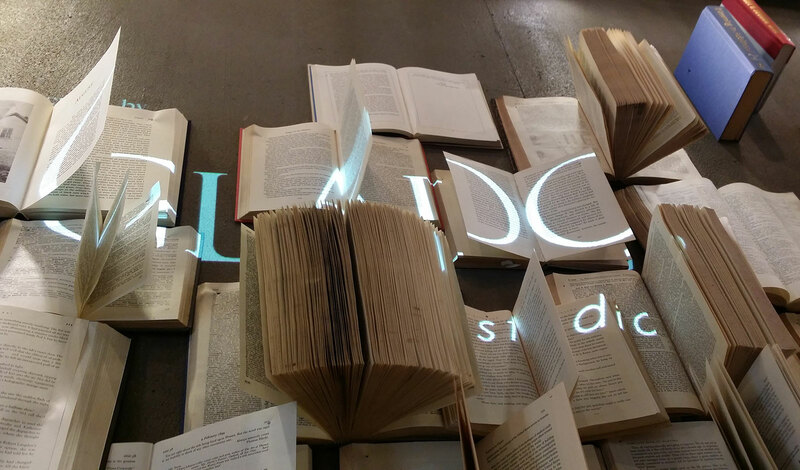 We do pay attention to every details to enhance how books taking an essential part of client’s core business. 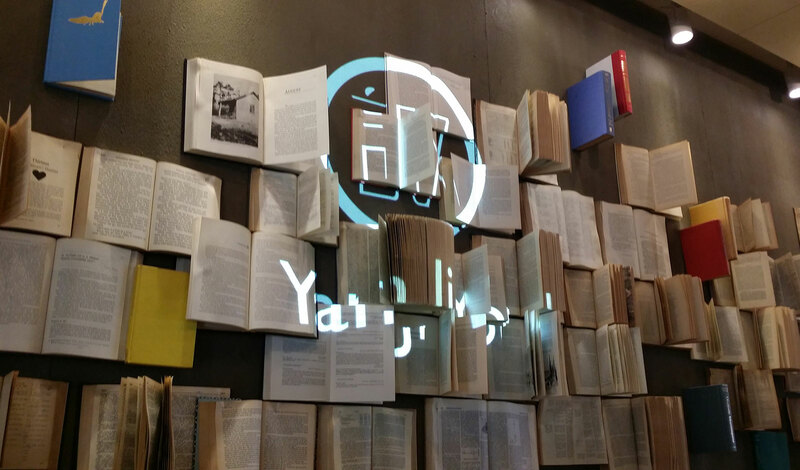 We stacking books in alternative directions at the grid shelving behind cashier, where every little signature carry out a vivid brand image and reminding customers the unique life style and be the icon of the brand -YAN JI YOU. 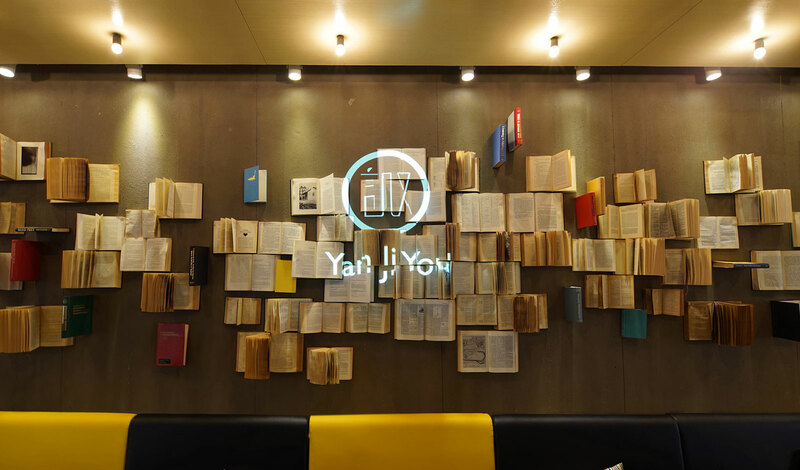 Besides interior decoration, we also took part for the promotional graphics for Yan Ji You at their store opening with a three-floors height banner graphics, hanging from top of the building which dragging attention from the passer by. 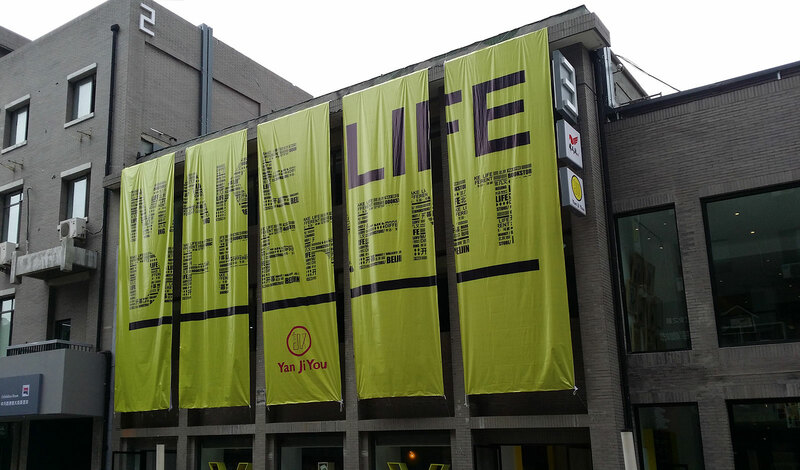 With all brand’s values statements and business unit description to form their brand’s slogan “MAKE LIFE DIFFERENT “. We bring different elements to the Bookstore and giving visitors a brand new shopping experience by joyful decoration with a comfy spatial flow. 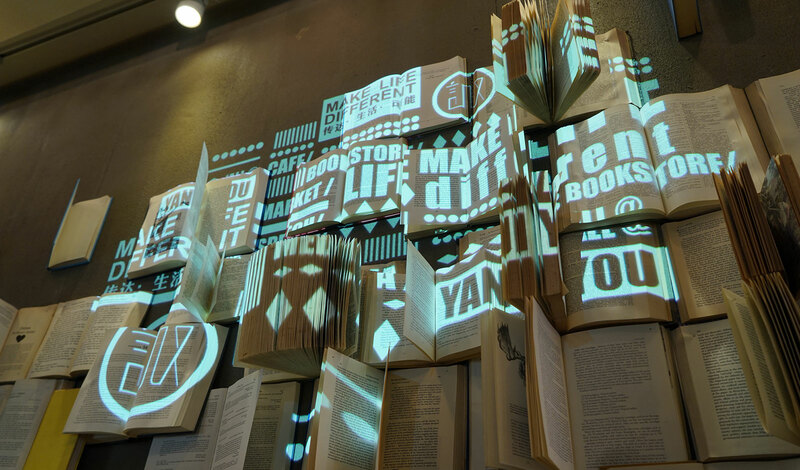 Let’s MAKE YOUR LIFE DIFFERENT !